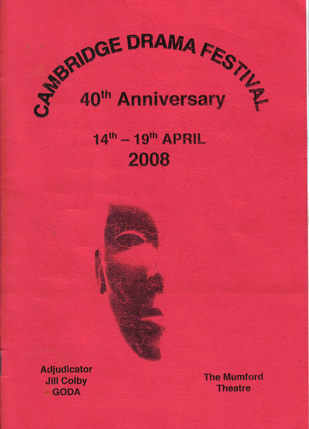 "The Case of the Prince Formerly Kown as Hamlet" was the CADS submission to the 2008 Cambridge Drama Festival, where it won the Audience Appreciation Award. The Technical Crew led by Joe Daintrey also won the award for Best Sound, chiefly for a single sound effect that lasted for well over a minute while the stage remained completely empty. The play was previewed in Royston as part of a double bill with Foxton Vixens' entry to the same festival, "Short Changed" by Jean McConnell. The role of King Hamlet was taken at the preview by the director.